Injectable fillers improve skin contour and produce a more youthful appearance by restoring lost volume. Several forces - including exposure to sun, alcohol, and tobacco - cause the skin to lose structure and volume. Injury, illness, and various medications may also have negative effects on the skin; in some patients, loss of volume may be due to fat loss, known as lipoatrophy. From whatever cause, the resulting wrinkles and contour irregularities are associated with aging. Injectable fillers reverse many of the aging effects by restoring volume and improving contour. 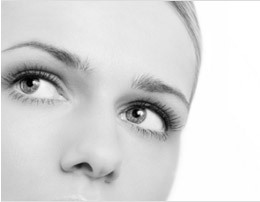 There are numerous injectable fillers available. Your specific needs and desires dictate which filler is best for you. Here is a list of some of the more commonly used fillers as well as some information about each. To learn about another technique for the treatment of facial lines, wrinkles, and volume loss, see the section on fat injection.